Often businesses need to keep notes about their customers that they can refer to later on. Notes could include customer injuries, preferences, address access, other issues, pretty much anything that staff need to be aware of. Add booking notes to an appointment. Add notes to a class. You can also report on customer notes for the whole business, as well as for each individual customer. Head to the Customers tab. Find and select the customer you would like to add a note to. 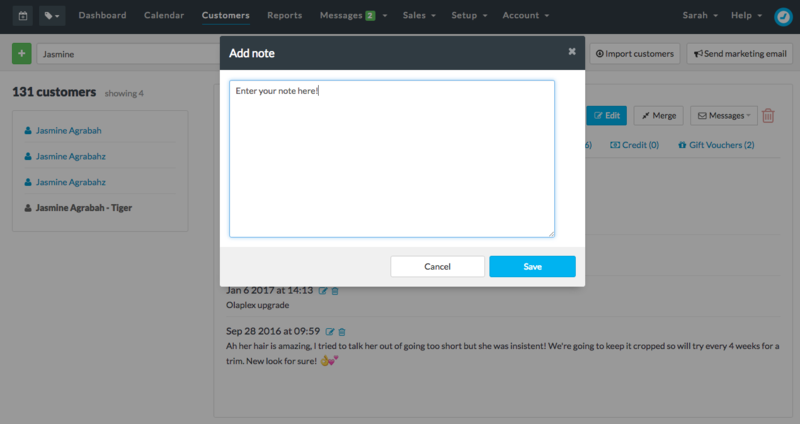 You can also print out a full list of these notes by clicking the Print notes button as well as printing notes for all customers by running the Customer notes report. These are notes that are linked directly to a specific appointment or class. 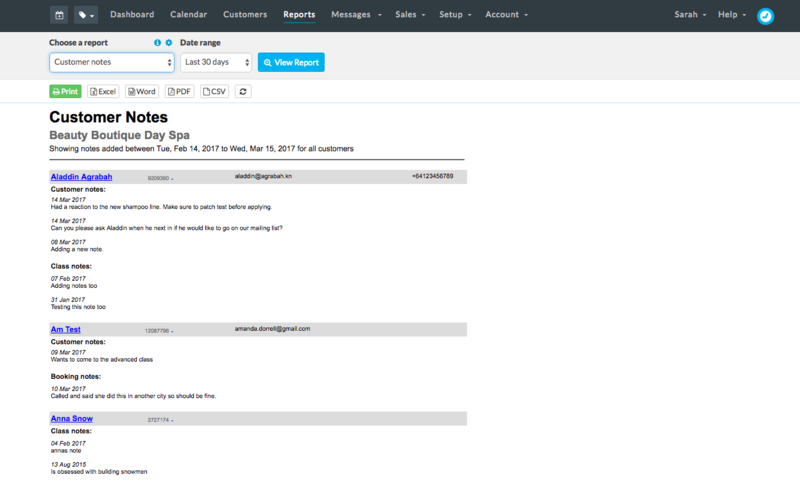 Booking notes won't show up with the Customer notes in the Customers tab (see above) but are included in the Customer notes and Print notes (accessed directly from the customer's profile) reports. Classes are no longer available in Timely. Click on the class in the calendar. Go to the Customers tab and click on the customer you want to add a note to. 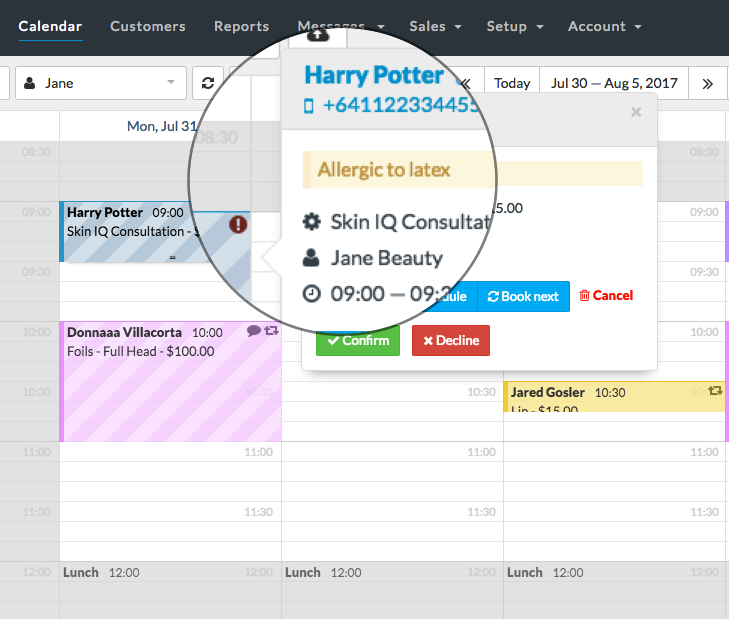 If you have important customer notes or alerts that need to be accessible from both the customer's record and from their appointments in the calendar then you can add these notes or alerts to the Alerts field. 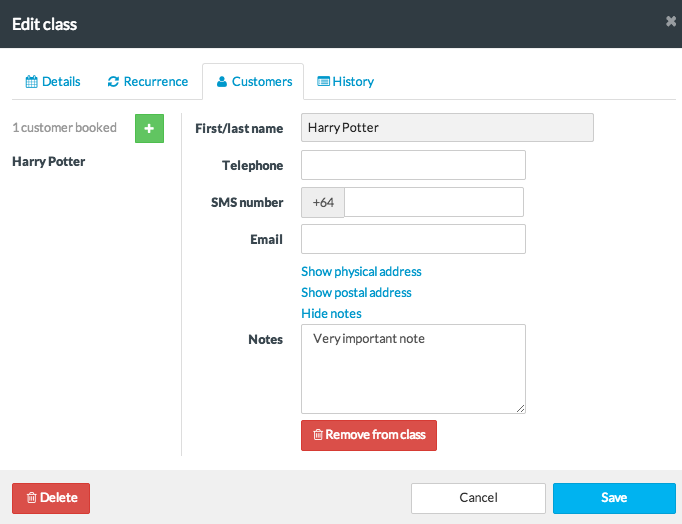 Check out our How to add alerts to customers guide.